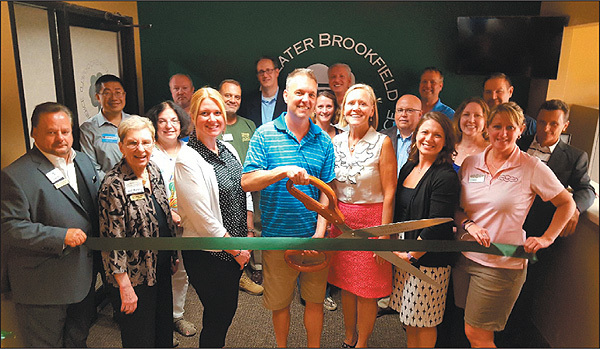 BROOKFIELD — The Greater Brookfield Chamber of Commerce recently held a ribbon-cutting ceremony at the chamber office to welcome new member Rob Kochanski of Local First Podcast to the chamber. 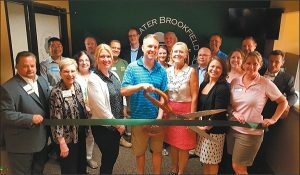 Pictured from left to right in the front row are: Robert J. Feest, Robert J. Feest Insurance and chamber board member; Judi Murphy, Murphy Associates; Melisa Maroo, Brookfield chamber; Rob Kochanski, owner, Local First Podcast; Carol White, president, Brookfield chamber; Sara Bauer, Hartland Payment Systems; and Barb Falk/, Nothing Bundt Cakes. 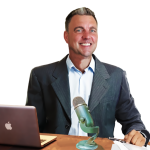 To learn more about Local First Podcast, visit www.localfirstpodcast.com.